I absolutely love experimenting with trends and very much enjoy wearing both edgy and sweet ones. The latter one is more appropriate for me but I think fashion is all about getting out of our comfort zone and experimenting. My entry title is "In The Pink" and description: "The very coveted pink trend is still going strong! + grey shades are becoming so popular! Mix them together for a very sweet feminine pastel outfit!" Remember when uploading your look that title and description is really important. Skirt and Coat are both TopShop, both last year buys (similar links here and here), the top is from In Love With Fashion (link), clutch is ASOS (link), flats are Fullah Suga (similar) and necklace is from a local store. Besides this awesome look competition they also host 2 more where you have to build the outfit. First is "Graduate ASOS Marketplace" (prize: x2 tickets to Clothes Show Live, plus £100 ASOS vouchers) and second is "Oasis Party Wear Outfits" (prize: £200 Oasis Gift Card). For more info on them, check out the links! It takes patience and a little time to build outfits but it's totally worth it when the prizes are this amazing plus as I mentioned before, it's fun and you'll meet wonderful people. Check out some of my outfits, maybe they inspire you to go ahead an enter! ^^ If you love an item click on the image or if you're too lazy just ask me in a comment! So that's it guys, hope I convinced you to try your chances, if you do decide to create an account look me up at liana23, will be happy to check out your work. Thanks for reading, lots of hugs and 'till next time! 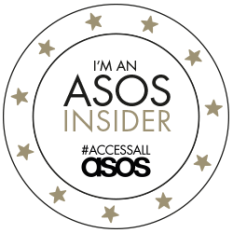 I've just recently joined Asos Fashion Finder, still getting to grips with it! u look so cuuuuuuuuuuuuute!!! love that coat! it's awesome! Love that look! The colors are great together! That coat is absolutely wonderful. I'm definitely digging the look! So happy to have stumbled across your blog, good luck with the competition! Love, love and love this outfit Liana!!!! Amazing color combo, lovely coat and great accessories!!! I really need to check out ASOS Fashion finder more these days. Iove this look and the silver heels are so adorable! great outfit!! & congratulations on winning! I hope you win---you certainly have a winner of an outfit, with several layers of pastels and those lovely silver heels. Your outfit sets are also so creative, especially with the choice of background and accessories. Really cool, love your pink coat! Tnx for visiting and for your lovely words, as always!!! Have a great day hun! I love your outfit, such pretty shades of pink, looks stunning hun! What a PERFECTLY styled look, I adore it! Can't believe you won a trip to Ibiza, congrats! Oh wow how incredibly awesome a trip Ibiza sounds! I am so happy you won and got to experience the Ibiza beauty! I would definitely want to see photos, despite the gloomy weather! And those collages look wonderful- very creative and unique! Ibiza vacation, how awesome is that :) Hope you had an amazing time. And love your outfit (pink!) and the way those three materials mix well together. beautiful outfit!♥ love the coat! :) I follow you on bloglovin♥ you can follow my blog too if you'd like;) kisses! your outfit is so brilliant! 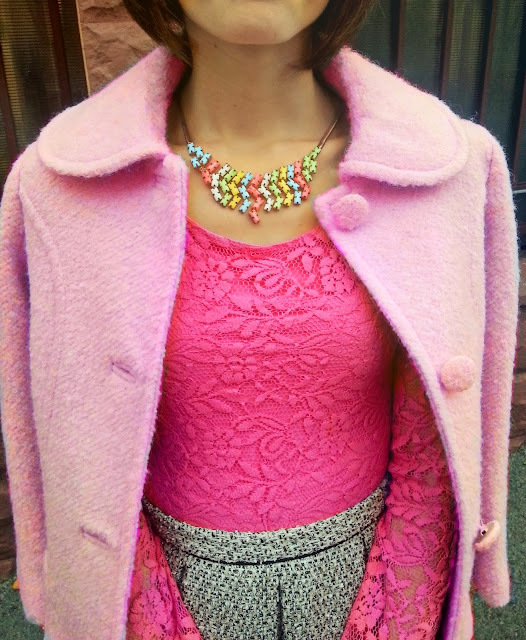 What a delightful chic outfit, a total classic in pink, you just , the pastel pink coat is just too pretty! Love this look from head to toe! Thanks for your wonderful comments on my look too dear! If you like, lets's follow each other on Twitter too, I'll surely follow back! Have a lovely day! The pink coat is beyond gorgeous!!! And I love the skirt too. You look so lovely and chic!! would you like to follow me, back? Love the looks as well as the one you're wearing. Thanks for your comment and following my blog. Follow you now on GFC(Cassandra L.M) too. Come check out my NEW POST and let me know what your think. Happy friday my beautiful friend!!! Great look! Love the pink trench! 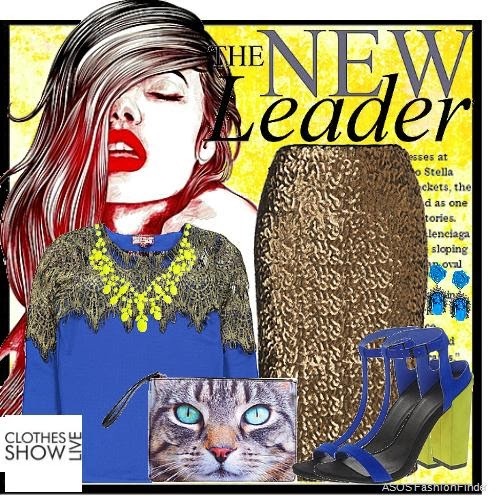 Just found your blog and really like your look! Would you like to follow each other on GFC and bloglovin to stay in touch? Let me know, thanks! Great look dear, I love that pink jacket!!! it's the perfect color. i'm obsessed with your pink coat! Tnx for visiting, have a lovely end of the week honey!!!! I love sharing my outfits on asos fashion finder! I so love this outfit. Great post! Love these looks and congrats on your trip to Ibiza! I really enjoy your blog so far and would love to follow each other--please join my GFC and I'll follow you right back! you look stunning!!! great outfit!!! You look so pretty!!! I love the pink!!! 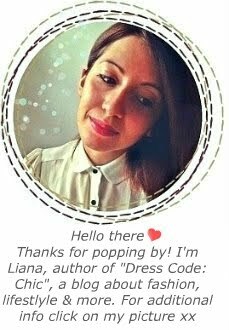 Thank you so much for your sweet comment, dear Liana!!! You look so gorgeous! Pink is most definitely your colour! wowser! And you sooo should have come and said hi, would have been lovely to meet you! Love your outfits! You look adorable and I LOVE ASOS! <3 I've ordered a billion purses from them. haha. loving the pink on pink!